Home Education	Smarty Alert: Discovery Place KIDS Hosting FREE Countdown to Kindergarten Event this FRIDAY! 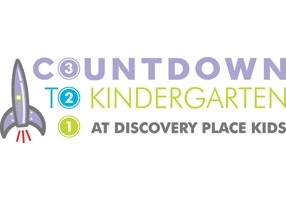 Smarty Alert: Discovery Place KIDS Hosting FREE Countdown to Kindergarten Event this FRIDAY! Smarty Alert: Our Smarty friends at Discovery Place KIDS are hosting a MUST-ATTEND event this Friday for rising kindergartners and their families to celebrate the very first “Big Day”! This FREE community-wide program focuses on kindergarten readiness and celebrates a child’s entrance into formal education. -Meet with local kindergarten teachers. -Discover healthy, yummy lunches and snacks. -Board a real school bus and learn about bus safety with Gus the Bus (who doesn’t love Gus the Bus?!). -Explore, test and try new skills throughout the Museum. In addition, Charlotte-Mecklenburg Schools will be hosting workshops in English and in Spanish for parents on what to expect from kindergarten. Children who are ready to learn and are well-prepared for kindergarten have a greater opportunity for success. Discovery Place KIDS-Huntersville is bringing the community together to play an active role in the preparedness process.